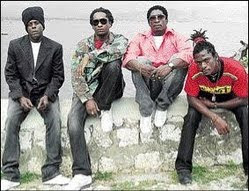 In the world of reggae music, few families rival the Bonner brothers in international music success. Recently, The Gleaner caught up with the brothers, which includes Richie Spice (Richell Bonner), to talk about their various life challenges, their thoughts on music's current state and their upcoming projects. Richie Spice's musical talents were kept quiet until his smash hit Earth A Run Red was released in November 2004 on Fifth Element Records. He has so far enjoyed most of the individual success compared to his brothers, but was very humble when reflecting on his accomplishments. Pliers, born Everton, was a recognised act during the late 1980s, but earned international attention when he teamed with Chaka Demus in the early 1990s, their most popular production being Murder She Wrote. The duo was the first Jamaican act to have three consecutive top five hits on the UK Singles Chart, which was surpassed by Shaggy when he recorded four number ones during 2001. Spanner Banner, christened as Joseph, is now promoting his new album I'm A Winner, which comes eight years after his last studio effort. He has experienced a balanced music career and got his first major recognition from the single Life Goes On, which was produced by Winston Riley. Later, he had his most successful studio effort in the form of What We Need Is Love. The eldest, Jah Mikes, born Michael, takes on the managerial role, and is the catalyst of Bonner Cornerstone Music, which was formed in 1995. One of his greatest achievements was pioneering Richie Spice's career, making it an irresistible force to be reckoned with. Glenroy Bonner, performing as Snatcha Lion, recognises the challenge ahead of being the youngest one coming up from the musical family. He, however, believes his new singles No War, Creation, and Love Boat will leave an indelible impression on its listeners. All of the Bonner brothers grew up with parents Violet and Ivan in Rock Hall, St Andrew, and have a shared passion for reggae music. "I feel really good to know all my brothers are involved in music," said Pliers, who spoke to The Gleaner via telephone as he was on a European tour with Chaka Demus. "I encourage and help them along the way. It seems that we have carried on well the music tradition in our family." While the Bonner family may be OK musically, the music, they believe, is going through a transitional phase, particularly with the local dominance of dancehall. "The reggae message can't die. It's a creativity that comes from the Almighty God. The thing is that if there is a popular style, most young artistes might take on to it," said Spanner Banner. "Reggae music is more creative and it's not so much about the beat as in other genres. The messages have to be strong," he said. Richie Spice sided with Spanner Banner's theory, saying that more people are latching on to what's popular. He, however, believes that upcoming reggae artistes lack opportunity and said that an effective body, which would serve as a nurturing school for young talents, is something the music industry must focus on. "Music is a teaching tool and youngsters listen to it. More opportunities are needed for these artistes to explore because there are a lot of young artistes out there," said Richie Spice, who is currently working on a 12-track album with Penthouse's Donovan Germaine, set to be released by VP Records. Richie Spice also said he believes some of the content in dancehall music was contributing negatively to society. Although the current pace is being set by dancehall artistes locally, Richie Spice said that it is overseas where reggae has flourished. "People are recognising and accepting reggae music more. It's a music with a positive force and it represents life to the fullest. Dancehall music is a lot different," he pointed out. Throughout the interview, a very quiet Snatcha Lion sat and observed, but when asked what fans can expect of him, he had a confident response. Snatcha Lion is a singjay who delivers his message with a hard-core edge. He said all his brothers have chipped in with advice and he made it clear that he's coming with his own style. "Due to the road they took, I'm inspired by that. It wasn't no violence. I respect that and that even influence me to be more stronger in myself," he said. "I began loving the music from school days when me used to go concerts, plus I have always had a love for artistes and the music. I get a lot of courage from Spanner, Pliers and Richie, but it's something (music) I wanted to do in my head from a long time. Plus, I'm coming with my own style." Spanner Banner, who recently returned from a US tour promoting I'm a Winner, leaned back and recalled the years when they grew up in humble circumstances, and oftentimes witnessed his parents working very hard to provide the necessities. That, he said, created a bond among the siblings, which they have carried over into adulthood. There were times when they didn't see eye to eye, but that's something they were keen on not perpetuating. "I grew up in a home where mother and father and 11 of us in one room. People will have their little differences at times but that was sorted out easily. We grew up with brotherly love and that has carried over in our adult lives," said Spanner Banner, who is in talks with Motown for the distribution of I'm A Winner. It was refreshing to see the love and respect they shared for each other. Success, for many, breeds negativity and, unfortunately, it corrupts some. But the Bonner brothers continue to exercise humility and mutual respect in whatever they do.